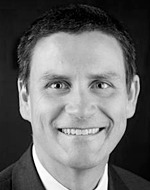 Christopher Dann is a partner in Strategy&’s energy, chemicals, and utilities practice, and is based in San Francisco. According to a new study, the solar industry is slowly stabilizing. A new study finds that underestimating strategic risk is the number one cause of shareholder value destruction. But it doesn’t have to be. The wind, solar, biomass, and geothermal sector has grown in fits and starts — and now may have the momentum to become a self-sustaining industry.